If you’re passionate about the work you do, you’ve probably considered offering a getaway retreat so your clients can spend some intense high-focus time with you and other like-minded souls. My list has now grown so much that I no longer offer these more intimate retreats. (My events now attract 200+ people.) Now, I meet many coaches, consultants, trainers and healers who want to host their own retreats. If this sounds like you, here are some tips — straight from my personal “in-the-trenches” files — for how to plan and host your own retreats. It’s one thing to have a great idea for a retreat. But it’s a whole other thing to find people to come! The great news about retreats is that your list doesn’t have to be huge in order to fill the spaces. Many retreat centers offer options for 10-person retreats. Still, you need to have a list – whether it’s your client database, or your eZine list – in order to market your retreat. Give your retreat a name. This grounds your idea with a vision and purpose. 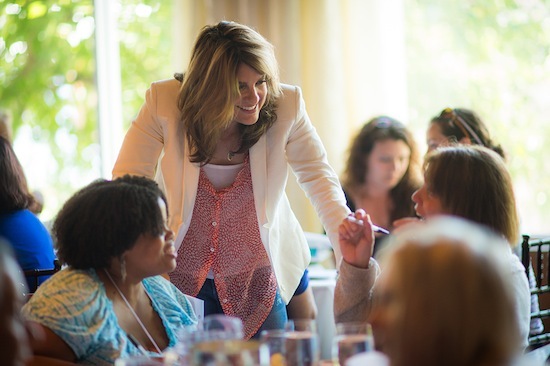 When I finally created the name, “The Unstoppable Power of Intention Retreat,” I was much more excited at the prospect of my retreats – and many more women expressed interest! There is an art to naming anything. Take time with this and have fun! My retreats had anywhere from 22 – 35 people in them. Many of my clients have offered retreats for as few as 6 people. The choice is yours. What is ideal for you? Retreats can range anywhere from 1 – 9 days. Or longer! If you’re just getting started, I recommend a 3-day format. This makes it easy for your participants to plan, to arrange travel, and doesn’t require too many days off from work. Of course, this is also dependent upon the content you want to deliver. Where do you want to host your retreat? First, let’s start with region. I recommend that, at first, you keep your retreat close to home. It’s great to have familiar surroundings and not have to travel far. If you want to consider a more exotic location, it will obviously take a lot more planning on your part. Next, let’s talk about choosing a retreat center. If you do a Google search in your area, you may discover that there are a few small retreat centers that provide amazing options. Many of these places are not luxurious – but they do allow for an affordable retreat experience for you as a host – and for your clients! For me – and for my clients – it’s about the SOUL of having a business and how I serve my clients. This is why I’m now hosting my retreats in a unique, smaller than usual venue in Asheville. Shifts happen in this place that simply DO NOT happen anywhere else. I recommend that you choose a space that offers lodging and meals. Something special happens to a group of people when they dine and sleep on site – without the distractions of the outer world. Take time to shop around and explore your options, review your pricing and weigh the pros and cons of each location. Putting a price tag on your retreat can bring up lots of stuff. But you must challenge yourself NOT to play small. Low prices can position your retreat as low-value. Also, do not price your retreat just above the per-person price you’re paying the retreat center. If you have cancellations or any unforeseen costs arise, you’ll be screwed. I encourage you to stretch yourself. Crunch the numbers and make sure you are making a profit! Note: If the money and pricing is a little tricky for you – then you need to watch my free training video pronto! It’ll give you the strategies you need to get over this hurdle. Click here immediately to grab your copy. Create a structure or framework that will guide the flow of each day. There’s probably a natural beginning, middle and end you will follow. In each element, map out the activities and teaching that will be included. Retreats (and events, too!) are meant to get participants to actually experience the work they never get to do at home. This means you have to give them the space to learn and take part in activities. This is the most important step. Why? Because once you have a date, you’ve committed. It’s happening. You’re going for it! Too many people play the “Ready Aim” game. They never actually fire. In other words, they never commit. Yes, it can be scary to offer your first retreat – but commitment and decision are half the battle. Choose a date. And start marketing. If you’re just getting started, don’t try to plan a retreat on that Greek island you’ve always wanted to visit. Retreats are about learning and experience. Though adventure can be a component, many times retreat hosts make it harder on themselves by being too aggressive with their early retreat goals. One of my colleagues was convinced that she had to offer her first retreat at the Ritz Carlton. But the pricing made it so daunting that she never set a date. This is, unfortunately, a typical pattern. This is why you want to keep it simple! Your first retreat may not be impressive, but at least you’ll have done it! The best thing about this retreat? It taught me what NOT to do when I was hosting my own retreats! My retreats had lots of space built into them. Yes, it can be scary to allow space because it feels like you’re not working! But the gift of holding space for your participants IS working. And it provides a great value. Be strong enough to allow for this. In the comments below, let me know: have you ever considered hosting or leading a retreat? What stops you? Are there any books on organizing Retreats??? Thanks so much for this handy guide! I found it a great way to start of planning! Thank you, Christine! As always so valuable! I’ve been wanting to do retreats and been too intimidated by not knowing if I would “enough,” even though I have so many ideas and information I’d love to share! So refreshing to hear your encouragement that I decided to not only map out answers to the steps above, but also sign up for Uplevel Cafe. Time to Stretch! Thank you! Thank you for sharing your valuable information. Two like minded Mums & Myself are looking at starting an Empowering Children’s Retreat & the date is creepy up fast. We have covered most of the tips you have offered above (#7 is a great tip I need to work on Thank you) however the 2 things we are unsure of is the insurance & gaining sponsors to assist in covering the costs. Adults value the cost of a retreat for themselves however as it is a children’s retreat, it seems to be more seen as a vacation care service (which ours is not). Do you have any tips on the type & amount of insurance cover? Also any tips on securing some sponsors? Hello I googled putting on a retreat and found you! Fabulous!! Thanks for your advice I feel even more motivated and confident I and my future partners will do just fine. I have been debating hosting my own retreat. It’s hard for me to sort out all the things I need to consider, so this article was so helpful. I really liked how you suggested stretching the price in the case of no-shows or other problems. I think I could handle planning and executing a wonderful retreat with some help. my girlfriend and I are two highly trained coaches who have been asked multiple times to do a retreat and share what we know so now we are starting to put that into action so there were lots of great tips here thank you i look forward to the free video training I’m about watch. Fantastic article! It strikes the balance of being informative, without being intimidating (I’ve always wanted to host away days and retreats, but never been brave enough to take the leap). I wondered if you had any tips for artists and sole traders who wish to sell their services to organisations that already run away days and retreats? I figured joining an established project would be a good place for me to start. Thanks so much for this. This was super helpful. My husband and I are hosting our 1st marriage retreat (The Happy Marriage Retreat) and this really helped me prepare for it. Thanks so much Christine for your planning tips. I will soon be a licensed Marriage & Family therapist and plan to start doing retreats in 2018. This was extremely helpful for me. I’m just getting going with a training and mentoring business and would like to start with a small (8-10 people) leadership retreat. From this retreat I would upsale my other training opportunities for businesses. I have extensive experience planning training events both large and small for corporate and non profit groups. But this will be the first time out on my own. I’m worried about how to establish credibility with out a previous retreat. I signed up to be a leader at someone else’s retreat but haven’t had any luck finding people to register yet. So I don’t know what workshops I’d have under fitness, nutrition, and personal development. So Cassi – Workshops in fitness, nutrition and personal development? There are so many topics people are hungry for, I can’t even begin to count! You can TOTALLY do this. I highly recommend to get an OOPS manager (an Overall Operations Manager). I was so happy to have hired a friend of mine to actually keep things in check while I was busy coaching women. She knew when to start what for the next topic of the agenda, kept track of time, took care of people who needed something during the retreat, took care of me by providing me with drinks/snacks and feedback so I could align. Great suggestion, I was thinking this would be helpful as well! Thanks for this information, it is very helpful. My question is how do you go about paying your instructors? How much is to much on a supply list that is required for the class. For example if I am offering a class that involves a lot of sewing is it to much to ask the participants to bring their own machines? I have three teachers in mind that I would love to bring together for a retreat, how do I go about approaching them, what are the questions I need to ask them? What is the standard if there is one for teachers cost. Thanks for taking your time to put together such a great outline, I look forward to hearing from you. Have you thought about exchange? For my first retreat I did not have a big budget to pay for other people to come in (ie yoga teacher, etc). So I suggested an exchange of service. They came to teach and in exchange could stay for free at the retreat and participate in the program the whole time. Miranda – Exchange is one way to do it. But when I was doing retreats – i didn’t have other speakers. It was me teaching – and my massage therapist got paid by the attendees for their massages. (Unless they signed up for my VIP package– then it was included.) Now, when I have speakers at my event, they pay ME to be there because they will get clients and sales from being in front of my audience. It’s not about the transaction (the event iself) – it’s about the fact that they will get long term customers. Make sense? I am the Innkeeper for The Simsbury 1820 House in Simsbury Connecticut and I would love to host retreats at the Inn. We are 15 minutes from the Hartford Airport, have 31 rooms, shuttle service, a fabulous continental breakfast and an amazing onsite restaurant, Metro Bis. How can I get out the word that we are here and willing to work with groups on pricing so they can hist a great retreat? Thank you, Christine! I’m in the process of opening a retreat centre in Barcelona, Spain, and your advice was perfect! I found it not only useful from the perspective of planning my own retreats, but also for when I’m offering the centre to others who want to run the retreats. Christine, this is excellent advice, and confirms everything I’m feeling as I look at planning my own retreats. My artist friend and I have talked about designing a retreat for women for quite a while. We are in a position to move forward now: she is a professional artist and we both made the leap to resign our jobs as teachers). We had a five hour “planning pow wow” last week-before I read this article!- and did map out many of the items you describe. Place and price are the current works in process. We determined several weeks ago in our first planning chat that time for silence, reflection, and contemplation were essential. We also plan to have simple, “clean” nutritious meals. We want to have follow-up availability via email and phone. Thank you Christine for this. Your comment about too much content being overwhelming for participants really struck me. Having been on the receiving end I know it’s true. Being on the delivering end we struggle with wanting to give our participants the most for their money, super-size their experience. But, if we give them no space to take in what we’re offering, we have not given much value. Thanks all for your great comments here! So happy this article helped you! Thanks so much for making the point about allowing space. I do agree, that the tendency to cram too much in in an “oh my gosh, hope I am delivering enough value so that they are having a good time and learning and will give positive feedback” kind of way, makes you feel like you are earning your keep or something. But I feel like some people have to come to a retreat to have any kind of space for themselves even to consider one small thing! I need to remember that holding the space for those in attendance of my workshops need that same thing and that I don’t need to overwhelm them with awesomeness and just need to relax into what I have to offer in a simple and beautiful way. Christine thank you for this. As a person who partners with facilitators to co-create awesome retreats and journeys – it is amazing how many coaches do not think about this wonderful venue for their peeps. If you are going to do a group workshop – why not do it in a beautiful and inspiring location? I don’t think most folks want to spend a whole weekend inside anymore and by utilizing a retreat center – you create multiple opportunities for bringing your work outside through different group activities and more. I loved this… Am working on some workshops (also have retreats in my future) – and found that my fatal error for my first “offering” was that I hadn’t built my list properly… So thanks for the tips… starting at #1 again… back to the drawing board – and off to work on building up my clientele!!! ..as someone else has said – “very timely!” Have been thinking about this for quite a while – time to DO something! 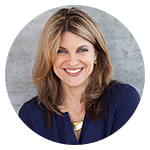 Wendy – My rule for pricing is “stretch, but don’t splatter.” Price it to stretch you a bit (also so you really strive to create the most value possible), but not so high that you totally freak out. Also when you price it too low, I think you create a bit of mistrust in people. They wonder what’s wrong with you that you’re offering such a great thing at such a low price. The best process is to sit down quietly and map it out for yourself. Also – you have to go look at your retreat center and find out your cost per participant in advance! Thank you for breaking this down into simple guidelines. I’ve been thinking about hosting a retreat for years, and this makes it sound so much more possible. Ooh, so excited that you’re posting about this today! I haven’t yet gotten to the retreat-planning stage, but I’m just now planning my first workshop. It’s scary, but I know it’s going to be so much fun. Thank you for the encouragement, AND for the reminder that holding space is so much better than over-teaching. Hi Christine. Thank you for this article! Yes, I have considered hosting a retreat (often) but have not moved upon it. I was inspired to look at it again from your post. I will keep in touch to learn more. Thanks to you, I’m hosting my first-ever “Dream It, Do It Women’s Writing Retreat” Aug 23-25 at Bend of Ivy Lodge. All of my participants are extra excited and can’t wait for the creative fun to begin. I’m taking your advice of not filling up the time too much–I went on a writing retreat last year that did this and I was exhausted. And Walker says “hi”! Woohoo Alice! I’ll be cheering you on! I know it’ll rock! My very first women’s writing retreat at Bend of Ivy totally rocked! I took your advice and let the participants “be” and did NOT overschedule. This was the biggest and riskiest event I’ve ever done in my 7 years of business and so glad I did it. Dava Melton of Blessed 2 Cook nourished with her fabulous food and the Lodge was the perfect place for writing and renewal. Thank you again for your advice and recommendation! So happy to read this Alice! Congratulations!!! Love this info Christine… You take the “scary” out of the process. Hi Christine, this was very helpful information. I have been considering hosting a retreat for the past several years but never did anything about it. I have since evolved and have loads of retreat topics that I can start from. This article added spark to my fire and I just might have my first writing conference in 2014. In the meantime, I’ll start conducting local workshops to get my mojo going. Thank you so much for this information. My partner and I have run our 30 day self care online course three times now and the next step is a live retreat. We are aiming for February 2014 and are about to start thr location research part of the journey. So many variables at play that is scary, but we both ave big visions and want to step up and make them reality. I’ve dreamed of doing retreats for a long time. I have the content and outline, I’m just scared to pull the trigger! Thank you for this article… My biggest fear is that no one will sign/show up. Brittany! That’s everyone’s biggest fear – and why no one dares to offer live events. You just gotta go for it! Thank you so much for the information. I have a deep desire to host retreats. I’m wondering if you have a Facebook mastermind group for all of us with a like minded dream to connect? Stephanie – We do have masterminds, but they are private groups for our clients and students. thanks for checking! Ask a few close friends to sign up. If noone else shows up at least it was a great dry run to learn from, right? Thank you, Christine, for laying out the process step-by-step. This idea has been percolating in the back of my mind for a while…now I have ideas I can put into action and a checklist to follow to see if this makes sense for my business. Thank you!